The Second Age: Did Anyone Know About Diane Schuler's Problem? 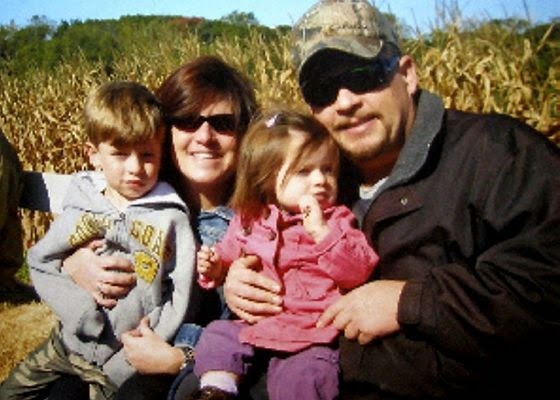 It's unbelievable the about-turn that has taken place in public opinion since the toxicology reports came out regarding Diane Schuler's blood alcohol level and THC levels when she crashed her brother's minivan carrying her two children and her brother's three daughters. What was originally sympathy for Schuler, thinking that she suffered some unexplainable medical condition, turned to anger and enmity upon learning that she was incredibly intoxicated and also high at the time of the crash. A lot of the attempts to get down to what truly happened on July 26 in the hours leading up to the crash have begun to focus on the people around Schuler - namely her husband Daniel Schuler, who departed ways with Schuler at the family's campsite that morning, and her brother Warren Hance, who spoke with her after she left the campsite but before she began her fatal drive the wrong way down the Taconic State Parkway, eventually slamming into an oncoming SUV containing three people who were among the eight dead. While Schuler's husband told investigators that his wife drank socially and occasionally smoked marijuana, there is no indication from either the Schulers or the Hances that Diane Schuler had a problem. However, to drive five children in a minivan while swigging vodka (a 1.75 liter bottle of vodka was found in the charred wreckage) and smoking pot does not come in an overnight transition. It's possible that Daniel Schuler's revelation that a sudden medical condition caused his wife to drink and smoke, but the ME has ruled out a medical cause (including diabetes - one of Daniel Schuler's theories). I'm not going to say that Daniel Schuler or that Warren Hance knew that Diane Schuler had a problem. I will say, however, that having seen alcoholism firsthand, it is hard to ignore. I also find it very difficult to believe that a person would allow a relative to drive his children knowing that she was capable of something like this. We may never know what happened when the Schulers parted ways that morning or exactly what was said between Diane Schuler and her brother, but it seems that we do know what happened and the tragic results that Diane Schuler's problems reaped. If, in fact, Daniel Schuler or Warren Hance knew that Diane Schuler had a problem and/or knew that she was under the influence of alcohol or drugs at the time, the fact that they could have prevented the deaths of their loved ones and three innocent people will haunt them for the rest of their lives. If they honestly did not, then we may never know what truly caused Diane Schuler to go over the edge. I think yours is an important question. It brings to my mind even more questions, however, like how the use of drugs of any kind (including smoking marijuana) is not seen as a problem. What constitutes a problem is clearly a relative thing. I personally would never allow anyone to drive my kids anywhere if I knew them to partake in pot smoking, but I am not a drug user. It is also clear that many people don't understand the disease of alcoholism. Many women drink at home in secret while husbands are away. He worked nights. If she was alcoholic, having to spend the weekend camping in a camper with her quiet drinking time interrupted, could have had her hurting for a drink and caused her to drink in the morning before leaving for home. Also, diabetics often suffer blurred vision when their blood sugar level rise rapidly all of a sudden. A bottle of vodka could have done this, and caused her to turn onto the Taconic the wrong way that she did. It's a very sad story for all. Alcoholism is a family disease, and I don't care how good a mom she was. If she was an addict her behavior was entirely possible. Hypoglycaemia is a potential cause. The only cause of all this tragic loss is the irresposibility of one selfish person. I don't care if her husband wants to stick up for her, good for him.He lost a daughter almost a son and 3 neices because of her. As far as his attorney trying to dig up that she had a medical problem that caused this well whats the excuse for the alcohol and pot in her system temporary insanity??? I mean seriously they are looking for the same answers as everyone else as to why this woman made the decision she did.It's obvious that she had more of a problem then anyone wants to admit. I wonder what the conversation was really between her and her brother and why she just threw her phone and drove off instead of waiting for him to get her and the kids. He is the only one that knows that and now has to suffer the loss of 3 kids. I am terribly sadden by the loss of all the lives in this horrific , irresponsile act of a very selfish woman. My heart goes out to all the victims left behind to deal with this. I'm sorry for all involved. I do not think she was driving under the influence. She could have smoked pot days before, THC stay in the system for a while. I feel she had a blood clot or a stroke. Is it possable a false reading on the blood alcohol level could have been created by the burning gasoline which contains alcohol? Maybe the ME did not find evidence of a stroke because he/she did not look any further or perhaps the heat of the fire somehow altered the results? Not true. They can tell when the THC was consumed & how much is in your system. She had smoked around 15 minutes before the crash. I just have one more thing to add, the saddest part to all of this tragedy is the 5 year old little boy that is going to live his entire life knowing his mom hurt him , killed his sister, herself, 3 cousins and 3 innocent people .This is something this little boy is going to ask why to for the rest of his life. I hope with counciling and lots of love from everyone he can deal with this through his life. He is the one that is suffering the most!! My heart goes out to him and I pray he can deal with this as he gets older and understands what and why this happened. I have a statement for Patty who posted a comment: First of all alcohol from gasoline wouldnt show up in her belly as being unabsorbed. The alcohol from the gasoline is what made the car burn , had nothing to do with her body or any readings from her own blood. Now if she had a blood clot or stroke she would have crashed right away and not pulled away from being stopped. Why did'nt she stay stopped when she called her brother if she had a medical condition and was suddenly ill and why didnt her or her neice call 911 if she became suddenly ill. She threw her phone out of the car for some reason and drove off to kill all involved. She must of had enough wits in her to do that.She was definatly DRUNK and like any other drunk driver has left this world now a murderer.Oh and the broken VODKA bottle in the car reckage I guess had no play in this right?? I bet the husband had something to do with this...could he have spiked her coffee with vodka that morning?? I know that you will never hear the real story behind the story about how a person who never drinks could have guzzled almost a full bottle of 80 proof vodka and smoked pot and still had the ability to move off the floor never mind get behind the wheel of a car and drive like a madman. She or any other sober person would have been puking rainbows for hours after drinking that much never mind driving or even walking. You would have had to been drinking for years to be able to have that much to drink. I would never have gotten past two or three shots. This FACT makes the husband brother and sister in law responsible for allowing a person with that kind of drinking and drug problem drive around with children. The truth hurts. Why did they let those kids go with her anywhere at any time? Did they really need a break for a weekend that bad? Why did the husband let her drive off all pissed of about his fishing trip knowing her condition? WHO GAVE HER THE POT? WHY DOES ANY SOBER PERSON HAVE A BOTTLE OF BOOZE IN THE CAR OR ANY WHERE NEAR THEM? NO SOBER PERSON RUNS TO ALCOHOL WHEN THEY GET MAD BECAUSE IT WOULD ONLY MAKE THEM FEEL WORSE. He needed to take more responsibility for those poor kids. I know this is just my opinion but I have seen the ugly side of alcoholism. She was an angry drunk and he didn't know what to do about her. He should have reached out to AA but he was to embarrassed to admit his situation. Now they all have to live knowing this could have been avoided if one person would have stopped her sooner instead of living in denial. She may have had a problem but the whole family ignored it because the didn't want to rock the boat or it wasn't their problem but it sure is now isn't it. I read that the families of the three men killed are planning on filing a civil suit. In my opinion, the person who committed the crime...the person responsible...has paid the ultimate price. A death penalty. Her family is left to grieve for the loss of her and the children. Should they really have to lose everything else? Every single time a loved one is lost, one can look back and say, "If I would have done this...he/she would still be here". And there is truth to it. In almost EVERY situation, a life could have been spared if just ONE thing was done different. It's a horrible thing to lose someone you love. But, in this case, the person who killed them is dead. Her husband or her brother had NO WAY of knowing what was about to happen. And regardless of what "could have been done" or not, they have been sentenced to their own hell. I think all the families should just now focus on grieving and healing. Not making anyone else pay. The lawsuit that Anon 10:53 refers to is described here. I have to say as far as a lawsuit against the owner of the van and the husband of Diane Schuler is right. If my family died because of a drunk driver ,I would sue the hell out of whom ever I had to and ruin thier life like they did mine.Be it family of the deceased or not. Yes that horrible person died but there is no justice for the families that are left here to suffer.I'm sorry the other families of the deceased I'm sure are feeling their own pain and they aren't going to feel sorry for Mr. Shuler and Diane's brother and say well yeah the cause of the accident is deceased so lets just drop this they've paid enough.Look at it if it was you on the otherside and a drunk driver killed your family whose going to say well they suffered enough we will let it go and we wont sue.YEAH RIGHT!!!!! We can only hope now to get the truth from her brother re their last phone call. There is def more to the story. Why did she ditch her phone? I really hope nothing bad every happens to you in your life. You are obviously not strong/stable enough to handle any trials without bringing the rest of the world down with you in your misery. There is no justice served in creating that kind of turmoil. i think the reporting of the alcohol may be causing some confusion. some of the "10 drinks" of vodka could have been from the night before. my guess is she woke up hungover, and decided to put vodka in her giant coke at mcdonalds (a quarter of one of those cups would be 6-8 ounces). then, at some point she was able to smoke a joint. there's a bunch of missing time; maybe she stopped at park, and let the kids play, sneaks a toke. next thing she knows she loaded again. obviously it takes less booze to get drunk if you already have some in your system and pot can definitely intensify the effects of alcohol. they probably did this routine all the time, but this time she misjudged her hair of the dog. tons of people who get up and drive after a night of partying would get dwis if pulled over. it's scary, but true. If I put myself in their shoes, I would not "sue the hell out of who ever I had to and ruin their life" as you so eloquently put it. The FAMILY MEMBERS didn't ruin anyone's life. Their lives were ruined too. Why don't you put yourself in their shoes? If YOUR sister/brother/mother/father was responsible for an accident which resulted in 8 deaths...and it was ALL your loved one's fault...would you think it fair for people to sue YOU for not noticing there was a problem?!? It's so easy to second guess something that's already happened. Hindsight truly IS 20/20. Perhaps the family didn't know, however, I don't really believe that. Her brother knows exactly what was said to him that day, and why what she said prompted him to immdediately call the police when they hung up that phone. If the family feels somewhat better in covering up what this selfish woman did, then shame on them too. It's bad enough these innocent children had to lose their life, but I cannot imagine the fear they must have been in during this three hour ride from hell. For the sake of the children, come forward and tell the truth. To come forward and only stand there and insist on totally ridiculous reasons as to what would have made her drive this way, act in such a selfish destructive way, only adds insult to injury. My heart goes out to the three men that lost their lives due to this woman's behavior. How do you move on, when you are now watching Diane's family make mockery out of the toxiology findings ..insisting that something else caused this? Maybe they weren't aware of her problem, perhaps they didn't really know, but when the results are in, don't stand up and insist we listen to what a wonderful mother, aunt, wife, sister..etc. she was. She drank with five innocent children in her care and drove four of them to their deaths, and took with them the lives of three innocent men out for a Sunday dinner. The family is now coming out to PROTECT Diane's reputation, it's really too late for that. Seven lifes were lost that day that should not have been, and so many other lifes will now never be the same, and all of this becaue of one selfish woman. I am being truthful. If my family member killed a number of people ,I would just know I was going to be the one left behind to take their fault. As ruined as my life was, it's just the facts.I don't wish a lawsuit on anyone especially after suffering what these families are going through but reality is thats the facts. Happens everyday.People don't stop and look at both sides of the story they only see their own pain.Honestly I would sue the hell out of a drunk driver and their family if my childs life was taken away because of someone elses carlessness.If you don't feel the same , well maybe you are a better person then me but unless you have been in that position yourself , you can't say what you would do if you lost your child at the hands of a drunk driver.Besides they can't sue someone thats not here so of course the family will get the repercussion of being sued.As when anyone dies and leaves bills etc behind , next of kin gets the brunt of it. And as far as the family , especially her husband , not knowing there was a problem please did he walk around the house with blinders on? If you are married , know that person ,closet drinker or pot smoker or not you would see a change in your marriage and in that person. He already admitted she smoked pot and social drinker. So whats saying he's not telling whole story? He knows he's going to get sued why would he give up the truth because people would say well what kind of man leaves his family behind with someone like that to drive his kids and neices home thats why.Lets just say Diane Schuler did'nt have kids in her car and she just killed herself and the other family would you say they still should'nt sue ? Look at the family on Meadowbrook Parkway on Long Island coming home from a wedding and that drunk killed the little girl and limo driver because he was on the wrong side of the road hit them and decapitated the child and the mother sat on the parkway with her daughters head in her hands crying. Do you think the drunk shouldn't have gone to jail??? If the drunk died do you not think that family wouldn't have gone after his family for a civil suit?? Please there is pain on both sides no matter how you look at it.Right or wrong in your eyes people will sue for what ever reason they have to for their own self justice!!! oh and for the anonymous writer who says I am "not strong or stable enough to handle any trials without bringing the world down in my own misery" are you for real? THE TURMOIL started when Diane Schuler decided to drink and drive!!!!! There was a broken vodka bottle in her car and unabsorbed alcohol in her stomach!!! If you can forgive her for killing her child and 3 neices a father , son and friend then good for you! What Kind of Justice do you think would be appropriate for those families??? Just so terribly sad. I am afraid that even with all the suing, none of the seven innocent people will return. So suing and revenge--even if it provides a little monetary solace--will not be the ultimate answer. We have to understand why Diane drank the first place, what drove her to become the "closet alcoholic" that she seems to have become, if that is if fact what she was. There are alot of unanswered questions. Did clerks at nearby liquor stores remember serving on her? How long had this been going on? Are there any signs at home--liquor receipts, liquor bottles--that would provide some clue as to whether her husband could or should have known. Could her husband honestly not have known? Could well be, since he worked late and had a different schedule. She may have drunk only outside the house--in the car to and from work, or had a little swig after work--and purchased liquir with cash leaving no paper trail, etc. Just too sad. To anyone who "doesn't BELIEVE" the autopsy results - are you serious? Do you REALLY think a barrage of scientific tests, with 99.7% accuracy, are ALL wrong? And that selfish b**ch really didn't have undigested alcohol to go with her 0.19 BAC and 1.75 liter of vodka? And the fact that her husband chose to get an attorney - the same guy who defended JOEY BUTTAFUOCO for crying out loud - says to me that he has loads of skeletons to hide. The real problem is that everyone is looking for someone to blame.Someone is at fault for all this tragedy.Diane Schular killed everyone but what about her home life that maybe caused her to drink etc.Maybe it was her husband that drove her there.The truth will come out the further that things get dug into and that is why the law suit is important to those who are suing. They are looking to blame someone and find out why a women with a car full of kids drank ,drove and ultimatly killed 8 people.That is why the Schular attorney is looking to blame a medical condition and wanting to excavate her body to do their own autopsy.Money isn't the only reason why people sue. They look for answers as to why things happen maybe they will get them and maybe not.It is sad that a mother , someone that is supposed to be responsible, would do that to her children , neices' and innocent people.I'm sure her husband knows the real answers to why this happened. This wasn't a freak thing that just happened.Something set her off to hit the bottle and drive. My problem is why didn't she just stay stopped when she called her brother and he said he would come get her? What caused her to drive off again? And throw her phone out of the car? She had no regard to the life she was carrying in that van. Thats what angers me!! Patty - the lab tests for marijuana metabolites. They can tell how recently someone smoked weed by how much it has metabolized. Science tells us she smoked from fifteen minutes to an hour before her death. Not the night before. If all Diane Schuler had done was have 10 drinks and smoke pot, I wouldn't care. It's that she DROVE after drinking and smoking that makes her a selfish b**ch and multiple murderer. I don't care what happened in her home life or her marriage. She KILLED 7 innocent people - that is ALL that matters. Drunk driving matters. It puts everyone at risk & is totally unnecessary. What she drank at home is not anyone's business, but the second she got behind the wheel it's EVERYONE'S business. Nobody has the right to do that. I, like Diane and the many women I attend AA were masters at hiding our drinking. Diane never meant to hurt anyone. Yes, she was sick, with a terrible illnes that people are ashamed to admit they have because of judgement...alcoholism. I like Diane, drank and drove. Trust me, she didn't set out to drink the equivalent of 10 drinks..maybe a little to "take the edge off"...then the part that separates an alcoholic from a social drinker sets it...cannot stop....It wouldn't surprise me that she filled her McDonald's cup with Vodka....then kept going...making that 35 min. trip 4 hours. I have been there, lost, confused, driving in circles, disoriented. Did I mean to do it. Never. I am sober now. But, did I see myself in the story of Diane. Absolutely. Have I been there. Most definitely. And I leave this....I cannot judge her. I only wish she could have found the love and warmth of the fellowship that I have found in sobriety. Alcoholism is nothing to be ashamed of...I wish everyone would stop judging her. She was sick. She needed support to get well, and did not know how to get it. There but by the grace of God go I. "smoked pot occasionally" "drank socially" - coming from a family of "social drinkers" it = acoholism and drug abuse. The toxicology report and vodka bottle says it all. My goodness. I feel so sorry for the neice who called on the phone saying that her aunt was driving strangely. I was once at my brother's the day before Mother's Day when he served us raw hamburgers with slurd speech and was going to drive his children back to their mothers (ex-wife). You bet your boots I was on the phone with them mom where we tactfully got those children out of my brother's house and drove them home before he could get on the highway with those beautiful girls. My brother died last July a lonely death on the floor of his home surrounded by bottles of alcohol. He would have told you he was a social drinker too and did drugs occasionally too. Brother. Isn't this obvious to everyone? Too bad it wasn't to those around her. It would have saved everyone's lives! I posted earlier...regarding judging..yes, she is acccoutable for the lives she took. Personally, I don't agree with differentiating between "Murder One" & "manslaughter" or the like. I think ALL drunk driving should be charged as attempted murder, because that's exactly what it is. Everyone knows it's dangerous & illegal yet they CHOOSE to put others' lives at risk for their own convenience. They have no right to do that. Do you think dead & injured people care whether the drunk driver "intended" to hurt them? I'm all for safe use of drugs & alcohol on one's private property (check out my blog), but the minute you get behind the wheel or allow a child to use those adult substances, you belong in jail. An accident is using sugar instead of salt on your potato; wrecking your car due to drunk driving is not an "accident." The drinking was deliberate & so is anything that follows. An Eye Stroke ?? Keep looking!! Maybe her eyes were affected by ALCOHOL!!!!!! Little by little truth is coming out . It's unfortunate but Diane Schular's husband is going to take the rap for this tragedy. Now her brother wants nothing to do with him ever again because her brother says her husband knew Diane was drunk and high and that he is making up the fact that she had a medical problem.Like I said before her husband had to know about her drinking as he admitted to it. Can't hide much in a home with a five year old so I can't see how she was a closet drinker. The medical examiner ruled out that she was an alcoholic anyway.What a shame this tragedy is . According to her husband, she had an untreated tooth abscess for seven weeks. According to my dentist and the NIH website MedlinePlus, an untreated tooth abscess can progress to a brain abscess, which causes confusion, vision problems, and irrational behavior, such as erratic driving and drinking excessively. I hope some medical professionals will provide more information about this, especially dentists and neurologists. It could explain why an otherwise responsible person caused such an unfathomable tragedy. An untreated tooth abscess would have caused her to have a fever and be very ill. By the time it could have made her that sick , she wouldn't be able to even walk much less drive. It still doesn't explain why she had alcohol that was equvialant to 10 shots of vodka in her blood stream.Thats not a responsible person. She had no regard for anyones life she took. I had an untreated tooth abscess in college. The medical department did not recognize the cause of the pain, and neither did I since I was young. It is not true that I couldn't walk or that I was so ill I couldn't get out of bed or anything of that sort. I was in absolutely excruciating pain however. Maybe she tried self-medicating for pain with alcohol, I dunno. I would just like to ask why is everyone making excuses for her? Yes, she did have a problem. Yes, she could've had a tooth abcess that caused all these issues BUT that does, in no way, excuse getting behind the wheel of a car WITH children!!! I mean come on yes she was "sick", but arent serial killers and pedophils "sick" as well? I honestly feel like if she didnt fit the profile of the token "soccer mom" perfect etc. ppl would have no problem blaming this woman for killing innocent ppl. Let's just say she was a minority with no husband 3 kids and no education or family able to pay ppl to defend her stupidity. It's just sad. What about the 3 men killed and also has the parents of the other children commented on this? Btw just heard the tox report on Oprah and yes she was VERY high and VERY intoxicated. I dont care whether or not she acted drunk or not. Her irresponsibility killed innocent ppl!!! The more i read about this case, the clearer it gets. She argued with them at McDonalds to get her kids their last favorite meal and let them play in the playground there since she was gearing up for murder/suicide. It was premeditated, she fed the kids, got her OJ mixer to go, and peeled out of that gas station with a death wish, she drove like a maniac until she was numb enough to not care. She must have told her brother and sister in law something in those phone calls that sealed her fate, she left the phone and with it all hope of being stopped or saved, she drove up the Saw Mill to the Taconic, turned around and came back to end it all. She was not confused, she was building up her nerve. The phone probably got dumped because the kids kept calling home and interferring with her death wish plan, as soon as she knew they were coming to look for her, as soon as the kids said what the road signs said, she went in the opposite direction, north, up the Saw Mill so they would be looking in the wrong place. She was not confused, she was still making premediated decisions to carry out the plan. Then she told her brother she was on Southern State Parkway on Long Island, come on, no matter how drunk you are you can tell the difference between the 2 mile long Tappan Zee toll bridge soaring over the Hudson and Southern State pkwy. She had gone through the toll literally 30 seconds before making the call. She didn’t crash into the toll booth and was able to pull over to the pull off on the right shoulder. The 4 or 5 right hand toll lanes there are all cash only, since they claim they checked the time on her ezpass, that means she probably went through tolls on the left and had to navigate across at least 5 lanes of toll plaza traffic to the pull off without hitting anything. On page 10 of the police report, a witness describes travelling north on the Taconic at 1:15 pm and being cut off by the minivan ALSO TRAVELLING NORTH getting on the Taconic from the Saw Mill Parkway. This is right where the crash happened, about 200 yards north of the Saw Mill/Taconic merge. This means she went up the Taconic past the crash site, then turned around and got back on the same exit ramp in the wrong direction. She scouted the route! Probably saw a perfect spot to end it all and headed back down the road heading south knowing what was going to happen and where, there is a blind curve with a hill right at the crash site, no chance for the unwitting accessory to the crime to react evasively. There are two (2) turnarounds in that stretch of road, plus a lot of wide grass median and shoulder to change your mind if you wanted to. This is not the ‘mommy’s a secret addict’ story like the media has jumped on the bandwagon with to no end, she was uniquely crazy and suicidal and had to know what she was doing. Those people know what happened and have been protecting themselves since the brother first called the police and sugar-coated the situation as ‘a possible medical emergency’ and the husband only can say ’she was sober when she left..” not my fault. CYA. Also, the husbands story about the vodka being his is total BS. He drinks beer, very few men drink vodka as their drink of choice, especially when they are beer drinkers. Vodka is a chick drink. One more point, they keep making reference to her perhaps being confused and thinking she was in what would be the ’slow lane for the her if she was heading in the right direction”, i.e., being in the left lane while going the wrong way. This is not consistent with the aggressive driving she was observed doing for the previous several hours. She was passing cars like they were standing still, honking, speeding down the left lane of at least 3 highways, forcing cars to the right to pass them. No way would she all of a sudden decide to get in the right lane and drive like a granny, she was cruising in what she had to know was the left lane at an extreme rate of speed. Like someone else on here said, she probably was partying the night before and having a few drinks to feel better the next day was just standard procedure after a night like that for her. She probably did dump it in her coke at McD's and thats why she seemed fine up to that point. Probably had some heated stuff happen that weekend. In the documentary on HBO it said the husband never wanted kids and that she was responsible for all the duties of caring for them... maybe they were fighting about that... maybe she was sick and didn't want to drive the kids and he refused ... Then she's having a few drinks and stopping to smoke pot and whatever ... she's upset, buzzed, now getting drunker ... The brothers talking to her and he's just concerned because she's been gone so long, but maybe she is feeling persecuted in her intoxicated state ... kind of like "stop hassling me" I'm on my way home ... then kind of has a fit about it ... throws the phone ... fine if you want me to hurry up, I'll hurry up ... Kids are freaking out screaming , she is stubbornly trying to haul back home but is dissoriented and wasted (Im guessing accidentally having drank too much, more than she could "handle") ... I don't think in her state she even realized she was on the wrong side of the road ... I think she was so zoned in on just getting home and was feeling completely dissoriented and not knowing whats going on ... and boom, innocent lives taken .. so tragic ... so senseless .. .
Any way you look at it, this woman was making irresponsible decisions. When your driving a van full of kids, you should not drink or smoke pot no matter how bad you feel. The main thing here is that people need to forgive this woman for the horrible tragic mistake that she made. I am sure that she would not do this on purpose and would be very very sad to learn of her actions if she had survived. But we are free ... free to kill ourselves and commit murders ... but why is it that I am not free to say that I don't want some big corporation pushing alcohol on the citizens of my country because it is causing the unnecessary deaths of innocent children? Isn't the pursuit of happiness only as long its doesn't interfere with the lives of others ? So why are the big corporations allowed to push their murderous product on us day in and day out, when it so obviously causes our nation so much pain ? What puzzles me about this tragedy is, Why didn't she just park her van somewhere and wait. After viewing the documentary, family and friends have stated that she was a strong minded, at sometimes stubborn person who had to be in control of every situation. I believe for her to go on this dangerous drive around town that she was searching for something or trying to stay away from someone. If she had trouble seeing, common sense would have told her to park and wait for her brother. Someone who has to be in control would not want help. She wanted to get home on her own to not feel helpless. It was a very sad and costly judgement call. Not wanting to be like her mother. One problem with the murder/suicide theory is that according to police reports at the scene, all the children were wearing their seat belts. If her goal had been to kill them it seems unlikely she'd have made sure they were buckled up. Arguably, however, one of the older kids could have seen to the the seat belts for the younger children and themselves. A report of one phone conversation, with SIL Jackie, I think, said the children could be heard crying in the background. Why? What was going inside the van that caused the kids to cry? Was Emma's fear picked up by the others? Jay reported that Brian described himself as being like Superman and flying out of the vehicle. Why? None of the children were thrown from the vehicle. Is that just the imagination of a young child or did Diane, perhaps, say something about flying & superman? What did the children and Diane die of? Smoke inhalation? Crash related injuries? It was 100% intentional! My theory is she or her husband were having an affair. One of them got caught that morning. Betting on the husband. He didn't want kids and probably found someone working nights and Diane caught him. He probably lost it and said something about leaving her and how he never wanted the kids. I also believe she may have had an idea for some time but tried to ignore it in hopes it would go away. She couldn't let herself know the truth because it would affect her perfect imagine as a mother and wife. Something tells me she was a night drinker and smoker while her husband worked and she began abusing it to hide from her husbands ongoing affair. She spoke with her brother and my bet is he either had an idea about the affair or she told him. So they fought in the am about affair. She now had an image problem to deal with so she had to hide again from the pain combined with alcohol withdrawal so she stopped to get something for her headache. At that point she grabbed the weed it wasn't helping. She then started to swig some vodka knowing the headache was related to the withdrawal. She was also extremely suicidal at this point. She makes final decision to down vodka and end it all knowing that her image is damaged, her husband is leaving, her brother knew it was happening and she was now a single mom with kids whose father doesn't want them. Her mom abandoning her at a young age, had her living a life protecting her children from the same thing happening to them. It was the the formula for the tragedy. Only my theory.